As part of my research on Heaven these past couple of weeks, I have had the chance to read more than my fair share of books on the subject. This New York Times Bestseller became a phenomenon, selling millions of copies and garnering a great deal of attention. The book recounts the experiences of young Colton Burpo, who "died" and went to heaven during a severe illness. Later, he began to relate his memories of the event to his parents, who were astounded by what they believed to be unexplainable details in his stories. This is an easy read that could be finished in an afternoon. I have to admit, I was slightly underwhelmed by this book. I expected a great deal more out of it than I received, to be honest. I can definitely see how critics could poke holes in the assumptions that the Burpo family made about Colton's experiences. Having said that, the book does have it's moments, and has definitely secured its place among the more dramatic near-death experience accounts that preceded it. Don Piper's account of his 1989 near-death experience was also a New York Times Bestseller when it was published in 2004. Piper claims to have published the book out of "self defense" because he was constantly answering questions about the experience during speaking engagements and interviews, and not answering them very well. Piper was in a horrible car accident and pronounced dead by the paramedics and fireman who responded to the scene. A local pastor stopped at the accident and felt compelled to pray over Piper's mangled, lifeless body. When he began singing hymns after his prayer, Piper suddenly began to sing with him. 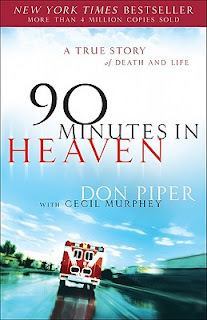 Piper's experience in Heaven fills only two chapters in the book. The rest deals with the challenges he faced during and after his recovery, as well as his return to church and discovery of his life's purpose. I liked this book. It was honest and forthright. Piper even admits to being skeptical of some near-death stories that he hears from time to time, but is absolutely certain of what he experienced. This book comes the closest in this short list of popular books on Heaven to actual theology rather than feelings and supposition. What makes this "popular" by my definition is that it does not acknowledge additional scholarship in the field. But then again, that's why it probably sold hundreds of thousands of copies. Alcorn bucks traditional evangelical ideas about Heaven as a place with pristine streets of gold, gem encrusted gates, walls, etc. Alcorn's Heaven is much more earthy. In fact Alcorn quite rightly lifts up the idea that what most people refer to as "Heaven" is actually "Intermediate Heaven"---a place where the Redeemed wait for the redemption of all Creation and the New Earth. Alcorn does a fine job of addressing what can best be described as "frequently asked questions" about Heaven---including questions about relationships, animals, activities, our bodies, etc. 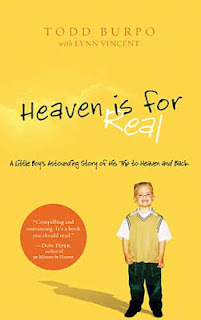 I highly recommend this book to anyone who is looking for a primer on what the Bible does and doesn't say about Heaven. I do think that Alcorn does take a rather uncritical and literal view of many passages of Scripture that could be open to a variety of interpretations. I was particularly troubled by the way he utilized difficult passages from several of the apocalyptic books in the Bible to speak with certainty about the geography and materiality of Heaven. Still, it's a good read and worth the time. Although Anne Graham Lotz, the daughter of Billy Graham, has established herself as a speaker, author and Christian leader, she's not above using her famous father's image, and words when it's appropriate to do just that. 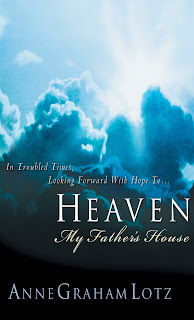 In this short little book on Heaven, Lotz offers the reader some beautiful images of her earthly father's house, a place that is as close to Heaven on earth as she can imagine. Still, it's her visions of Heaven and of her heavenly father that are the focus of the book, and she is clear that she longs not for Billy Graham's lifelong home on a North Carolina mountain, but the gleaming City of God. 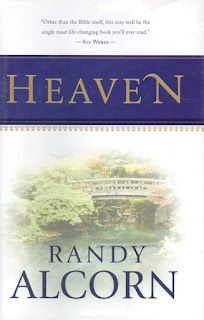 In keeping with her family traditions, Graham's book about Heaven is more an invitation than a description. It is clear that her genuine desire is for those who don't know Jesus, to come to know him and to embrace him as their Savior. She offers up the traditional views of Heaven as a city with streets of gold, pearly gates and the like. Like Randy Alcorn, she uncritically assumes a literal interpretation of most of the passages that she uses to describe what Heaven will be like. But unlike Alcorn, there is no "intermediate" Heaven in Graham's assessment---and no discussion of the New Earth, either. While I appreciate Graham's sincerity, this book does little to give the reader an honest, imaginative, and (I almost hate to say this) biblically-based view of Heaven. It's a pleasant read, but far too simple in it's theology. Graham's views honestly belong to another place and time. 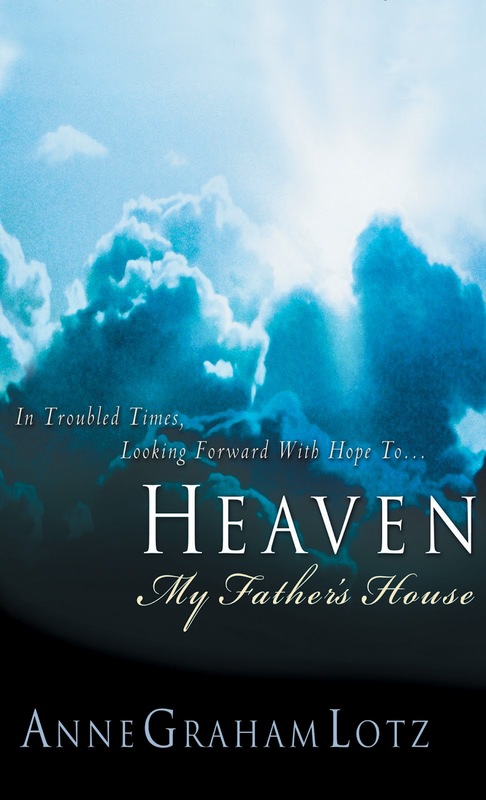 This book is a compilation of Billy Graham's writings on Heaven that Thomas Nelson put together and published this year. 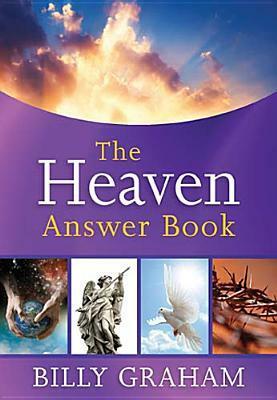 The book covers Graham's answers to just about every question that anyone could possibly ask about Heaven. "What is it like?" "Will there be animals there? ""What does the Bible say about Heaven?" and many more. Graham is clear from the beginning that his treatment of the topic is not to draw too much attention to Heaven at the detriment of the Gospel. "Jesus did not die on the cross for people's sin," he writes "so that we would believe Heaven---but that we would believe in Him. Heaven does not save souls... it collects them." Like Randy Alcorn's treatment of Heaven, this serves as a good guide for someone who wants to discover more on the topic without a great deal of theological "depth." These are, however, the words of Billy Graham---one of the true saints of our day. It's obvious that this little book of his insights on Heaven from over the years was compiled by others, but I am positive that Graham had his fingerprints on the end result. For those reasons alone, I recommend this book. To read about Heaven as seen through the eyes of such an iconic and venerable preacher and teacher is a real treat.